As the Tokyo Motor Show opens up its gates, the Japanese have already started showing us what the technologically obsessed folk can do. 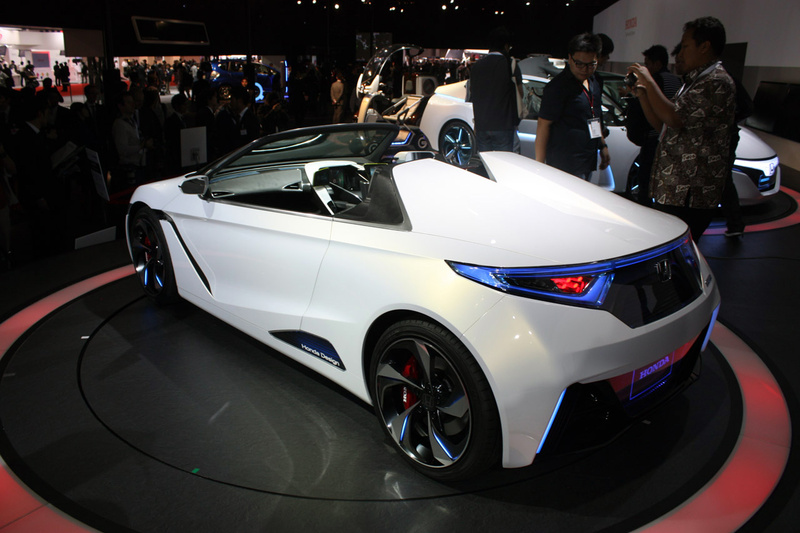 First up the Honda EV-STER Concept got its first unveiling and it is a stunning EV, one that’s very desirable, perhaps more than the Tesla Model S.
Unlike the American roadster, the Honda EV-STER is a very small roadster with seating for two and which falls under the kei car category. As current time and near future plans see the automotive industry move towards the smaller car, particularly with efficiency and low emissions in mind. 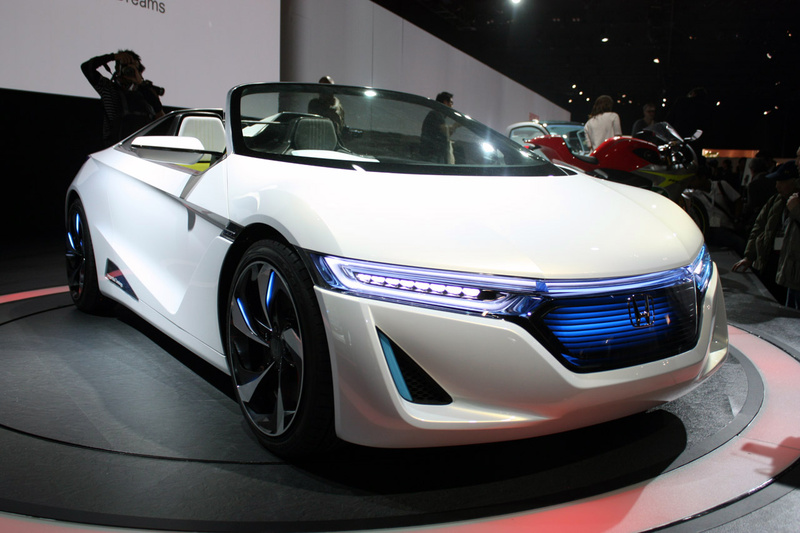 The Honda EV-STER Concept is electric, and proud of it, particularly as there’s no range extender added to the mix. Happily though, thanks to the diminutive size and the lack of weight that comes with it, the capable electric motor and the modern battery pack, the range is decent. At a predicted 100 miles between charges, in what’s tentatively named sporty driving conditions, the Honda EV-STER Concept seems like a nice bet. If only some hardware specs to back up the facts were happening. In terms of performance the Honda EV-STER Concept will be capable of hitting a 0 to 37 mph time of just 5 seconds and the top speed figure stands at 99 mph. 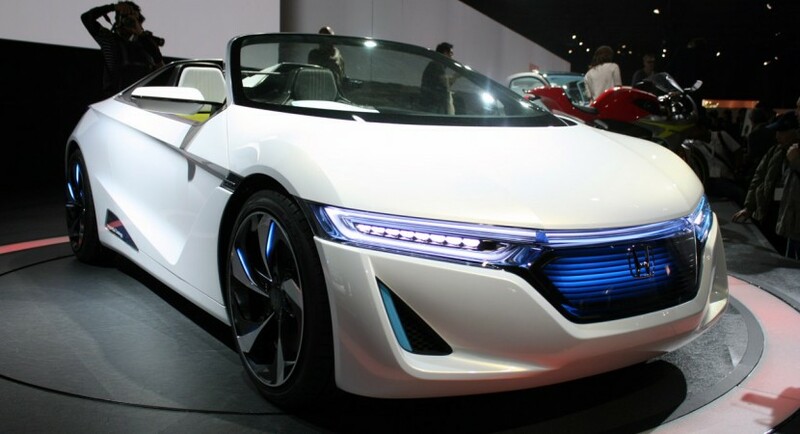 It’s not that much by traditional standards but it’s more than decent by electric standards and, while we’re at it, the Honda EV-STER Concept could end up being a gateway drug to the Honda NSX.